I wanted a DISH RV package for my camper but I never got it. Why not? Because I didn’t want to be locked into an annual contract for something I’d only use a few months per year. I ended up selling the RV, so I never got to enjoy the pleasure of taking my favorite channels with me on my long-distance fishing trips. If only I would’ve known about DISH pay as you go. It would’ve solved my dilemma of not wanting to pay for something when I’m not using it. While it’s too late for me, you can take advantage of DISH’s pay as you go satellite TV. How Does DISH Pay as You Go Work? 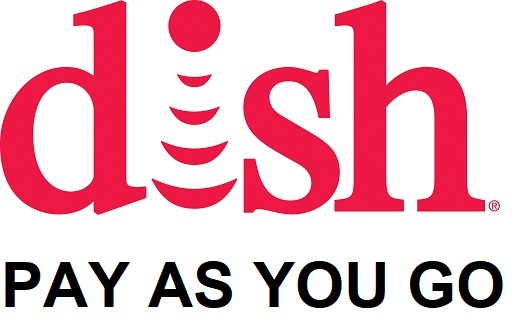 DISH pay as you go, aka a DISH flex account, is an amazing satellite TV payment option. It’s perfect for residential and mobile customers who want seasonal satellite TV. It’s also great for those who don’t want to be locked into a satellite TV contract. The beauty of the DISH pay as you go program is that it’s so straightforward. You pay for your satellite TV package in 30-day increments. You can turn your DISH service off anytime you want, and you can reactivate it any time you need to. 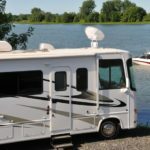 DISH created this pay as you go satellite TV option with RV owners, boat owners, and tailgaters in mind. These folks can watch their favorite news, sports, and entertainment programming during their chosen season then shut their accounts down when they’re not using their recreational vehicle, vessel, or tailgating trailer. When the next season rolls around, they reactivate their DISH account and start all over again. RV, camper, and motorhome owners are excellent candidates for a DISH flex account. This works well for people who enjoy the seasonal RV life. Simply put, you’re not paying for DISH programming while you’re recreational vehicle is in storage. Guess what? DISH pay as you go is also a great option for anyone who lives in their motorhome throughout the year. Owning an RV is all about taking you home with you on the open road. Not being locked into an annual contract is an extension of that freedom. A VIP211K receiver is typically found in a DISH marine installation. If you own a working boat or luxury vessel and use a 211K receiver, you can get a DISH pay-as-you-go plan. If you already have it, you should consider swapping out that old hardware with a DISH Hopper or Wally receiver. These use the satellite TV provider’s latest technology, which gives Hopper and Wally equipment many benefits over the older VIP211K models. You can continue your pay as you go satellite TV plan on your boat with a new DISH receiver. Are tailgate parties your thing? If so, DISH TV is the perfect thing to add to your tailgate trailer. During football season, you can enjoy watching pre-game programming and even the game itself. (Some tailgaters do this instead of going into the stadium.) Best of all, your DISH pay as you go plan lets you disconnect the account and not pay a dime when your team’s season comes to an end. 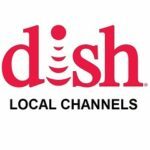 You can re-activate your DISH account again the following fall! Do you want the convenience of paying for DISH for 30 days at a time? As a DISH Authorized Dealer, Signal Connect can hook you up with a DISH account that lets you pay as you go. A member of our team can also match you with the latest satellite dish, receiver, and other equipment. When it comes time to hook it all up, we’ll match you with a local DISH installer. When that’s done, your Signal Connect rep will quickly activate your satellite TV account. Call us at 866-726-4182 to get your DISH pay-as-you-go-program started. This entry was posted in DISH and tagged dish, high definition, upgrade. Bookmark the permalink. 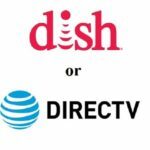 ← DISH Vs Cable: DISH Wins!